Biographical Sketch: Aleksey Tsalolikhin has been Administering UNIX and Linux Servers for over 13 years; including 7 years at EarthLink, experiencing growth from 1,000 to 1,000,000 users in less than 4 years and on to 5,000,000 users. Wrangling EarthLink's server farms by hand, Aleksey developed an abiding interest in automating configuration management and in improving the lot of system administrators everywhere. 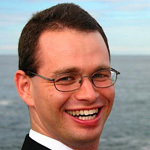 He is a member of LOPSA (the League of Professional System Administrators), USENIX (The Advanced Computing Systems Association - an international Unix User Group), the ACM (Association for Computing Machinery) and the IEEE Computer Society. Aleksey is a recongized Cfengine Community Contributor and authorized Cfengine trainer.